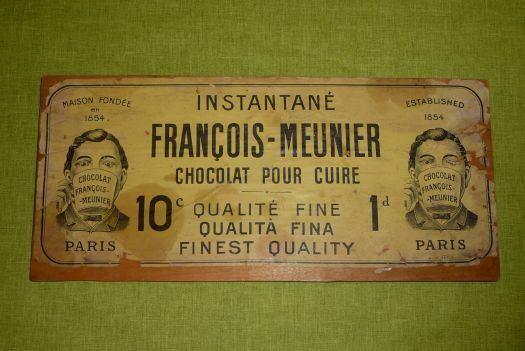 Wooden piece with old advertising label for chocolate. 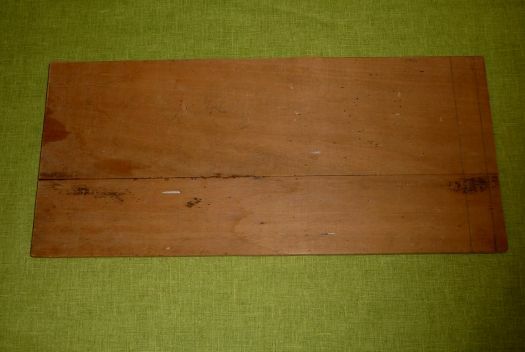 36 cm x 16,3 cm ; it comes from an old wooden box, which was used for delivery to groceries. 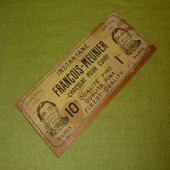 The label is not in very good condition, there are some stains and some lacks. 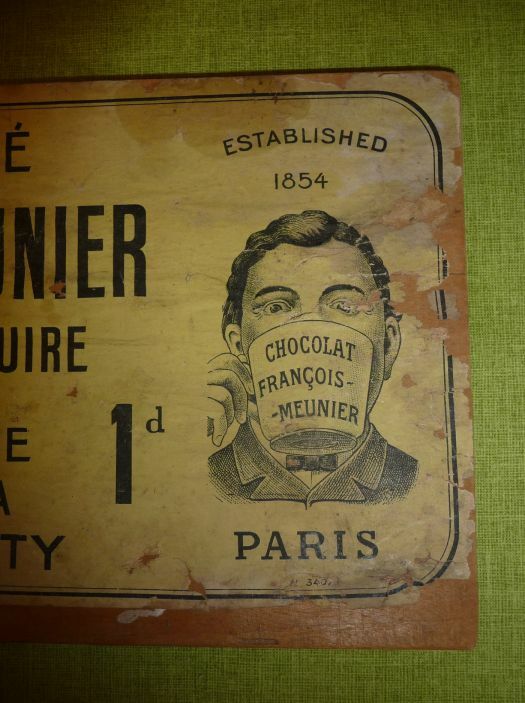 But it is an old authentic advertising, for French style decoration.